1. Games are extremely popular. U.S. consumers spent $21.53 billion on game content, hardware, and accessories in 2013 — an amount greater than the GDP of nearly 100 countries, and greater than physical and digital music sales, and cinema box office sales combined. 2. Games are not just for kids. The generation that played Atari’s Pong has grown up, started families, and now includes their children and parents in the fun. The average game player is 31 years old, and 39 percent of game players — the largest age segment — are 36 or older. 3. Gamers play everywhere — during their commutes, in line for coffee, and in waiting rooms. 44 percent of gamers play on smartphones, and 33 percent play on wireless devices. Casual and social game play on mobile devices and online increased in popularity by 55 percent from 2012 to 2013. 4. Games foster interaction and connectivity, and unite friends, families and neighbors. Today, 62 percent of gamers play games with others, either in-person or online, demonstrating the strong social appeal of shared entertainment experiences. 5. Games help parents and children spend time together. 42 percent of parents play video games with their children weekly, and 88 percent of all parents who play with their kids report games are fun for the entire family. In addition, 56 percent of parents say video games are a positive part of their child’s life. 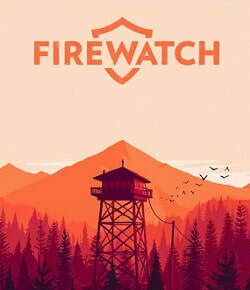 The story follows a Shoshone National Forest fire lookout named Henry in 1989, following the Yellowstone fires of 1988. A month after his first day at work, strange things begin happening to both him and his supervisor Delilah, which connects to a conspired mystery that happened years ago. Henry interacts with Delilah using a walkie-talkie, with the player choosing from dialog options to communicate. His exchanges with Delilah inform the process by which their relationship is developed. 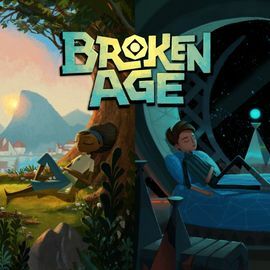 Broken Age is a point-and-click adventure game, where the player-controlled character can be directed to move about the screen, examine objects, and talk to non-player characters to learn more about the game world. The game features two playable characters, each located in separate worlds; the player can switch from one character to the other via the game's interface at any time, but otherwise these characters do not interact in any direct way. The game employs context-sensitive actions instead of using verb lists as early adventure games would use, as Schafer stated that in essence, "there really was always one verb, which was 'interact with'" and opted with the more modern approach. Each character has separate item inventories as they collect objects; items can then be used by dragging them onto context-sensitive areas on the screen or combined with other inventory items.